I cant believe I haven’t visited the Olympic National Park yet. 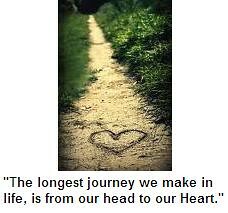 But, with all the traveling and our wedding ~ you can’t fit it all in. I knew I wasn’t feeling up to hiking in the Olympics but I was definitely up for something mellow. Still figuring out all this inflammation stuff, I was feeling rundown and a bit achey….even fighting off a “could-be” cold. Though, I knew a little time in nature would help. So, I started researching – looking for nearby outdoor adventures, and realized Skip and I hadn’t been to Sequim. 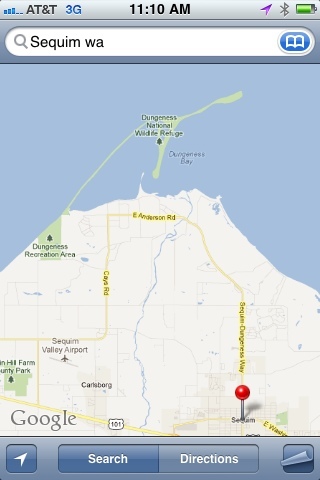 It’s a small town on the NE side of the Olympic National Park…and I found it by coming across the Dungeness Spit. The Dungee Spit is the longest natural spit in all the US and is part of the Dungeness National Wildlife Refuge. But, first- I’m sure you’re asking, “what the heck is a spit?” A spit is a large piece of sand revealed by water in a lower tide. Kinda like a sandbar…? So, we set out to find this sand spit…and headed toward Sequim. Somewhere along the way (thank you technology! 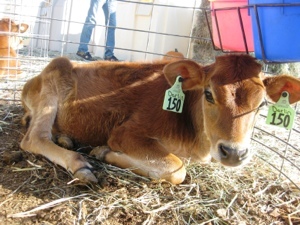 ), I found out there was a farm festival. 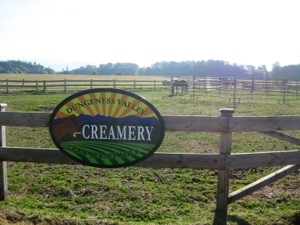 It included 6 local Sequim farms, including the Dungeness Creamery and all organic Nash’s Farm (both which I was really excited about)! 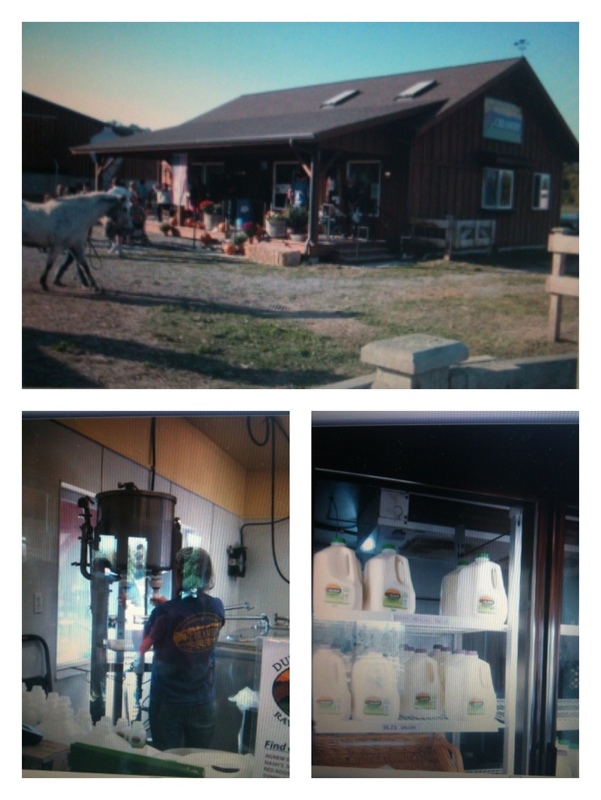 I read up on both the farms and was really impressed. 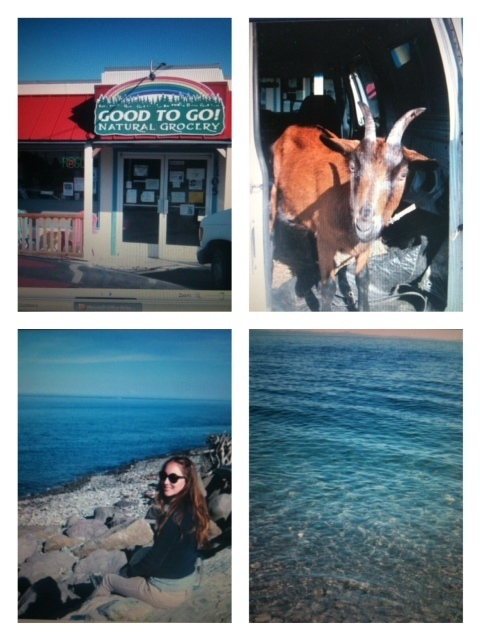 The Solana Beach gal also mentioned Port Angeles surfing. So, we of course needed to see it. About 25 minutes down the highway, we found little Port Angeles. We practically stumbled upon this natural food-to-go spot. So, why not? We had delicious gluten free sandwiches and an organic green veggie salad. There were lots of vegan/vegetarian options and the to-go spot had lots of healthy crackers, bars, snacks, nuts, cookies, etc. Really a neat find. We need more of these EVERYWHERE!! 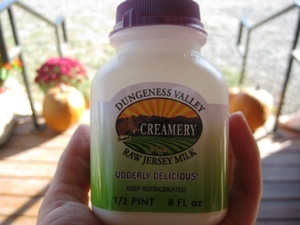 I’ll have to post later on my experimentation with Raw Milk and it’s benefits. I have been blown away by my bodies positive reactions towards this. 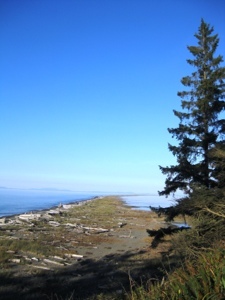 Out there on the spit, it’s a trip because you’re literally facing and looking at Canada. It’s pretty much the ocean border, and you can see Victoria! There is also major wildlife to spy; over 250 various bird species & 41 species of land mammals! 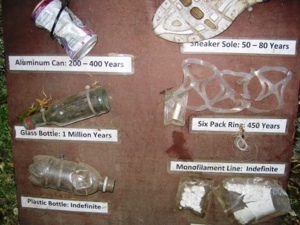 Heading back to the car, we spotted some garbage decomp info. Good to know! !